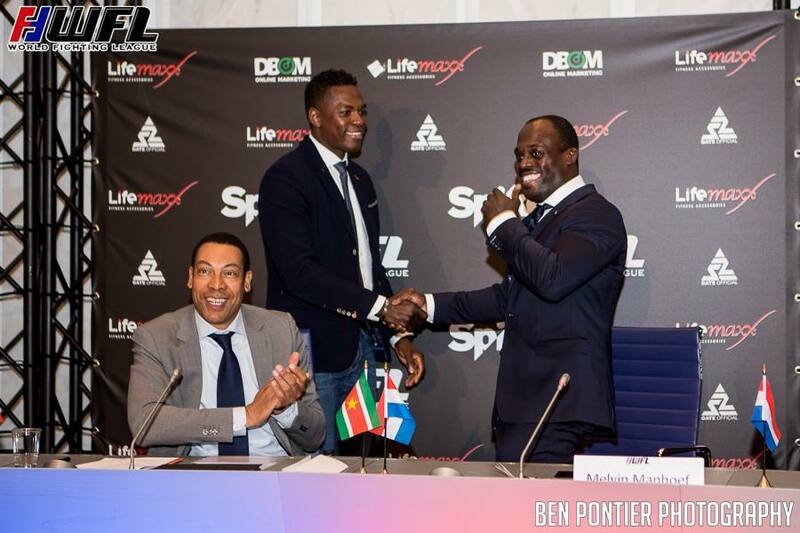 So, after Remy Bonjasky flirted once again with making a comeback yesterday, it was officially announced that Melvin Manhoef vs. Remy Bonjasky will headline the forthcoming World Fighting League (WFL) event on October 29, 2017 at the Topsportcentrum Almere. Bonjasky had been well publicised in recent months for potential return-fights against either, GLORY heavyweight champion, Rico Verhoeven, or, former GLORY light-heavyweight champion, Gokhan Saki who, has since signed for the UFC. However, Bonjasky vs. Manhoef 4 shouldn’t come as too much of a surprise in the grand scheme of things. Why? 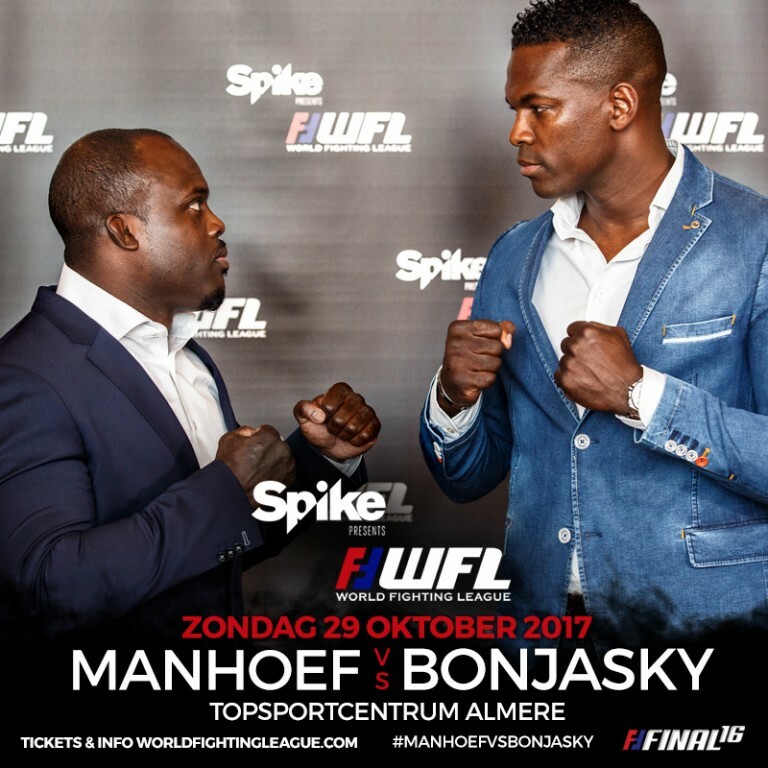 Manhoef is the promoter of WFL and at their last event in April 2017, Bonjasky was in-attendance at the weigh-ins press conference, where both K-1 veterans had purposefully sparked off interest in a potential third rematch between them. Prior-to then Bojansky had been seeking a fight with Verhoeven only for nothing to materialise from all the great hype and instead will feature on the, WFL Final 16 card against Manhoef, in his comeback fight. Bonjasky, a three-time K-1 World Grand Prix champion, had previously defeated Manhoef thrice, first in 2002 and then in the 2008 and 2009 K-1 World GPs; and would go on to fight for another five years winning half of his last eight fights that followed. Whereas, Manhoef would lose all six of his last kickboxing fights since they’d last clashed. Bonjasky vs. Manhoef | WFL April 2017 | Photo credit: Ben Pontier/World Fighting League. This fourth fight between the two Dutch kickboxing legends will be Manhoef’s “Last Kickbox Fight!”, he’d confirmed on his Facebook page; and at 41 years of age with the added demands of being a promoter, it only makes sense to do so. Plus, the obvious media attention that his promotion will benefit from at such an early stage of it’s promotional existence makes the fight worth his while, commercially. However, whether or not Bonjasky is only coming back for one last fight is a completely different thing altogether and the rematch doesn’t signal a complete end to Manhoef’s professional fighting career either. The former K-1 champion had been flirting with making a comeback for quite some time since the aftermath of GLORY Collision; Bonjasky had been considered as retired once before, after eye surgery in 2009, lead to a three hiatus from the sport. Remy would then return and fight his last six fights in GLORY, losing only half of them and winning what was then his ‘retirement fight’ against, Mirko Cro Cop at GLORY 14 Zagreb. The fact that Bonjasky signed-up to a comeback fight with an adversary he’s beaten three times before, could indicate that this match-up is being used as a benchmark test for “The Flying Gentleman”. Should he win (and do so reasonably well) then it will only fuel fire for a possible return to GLORY Kickboxing and a potential rematch with former foe, Badr Hari. Should Bonjasky lose or struggle against, Melvin Manhoef then there would be a lot less expectancy and temptation for him to consider, ‘one more fight’. As for Manhoef, he reportedly has two MMA fights remaining on his contract with BELLATOR MMA and is very keen on having those last two fights, especially now that he feels he has a much better balance of, his various business interests and can therefore, focus better on fighting and training himself.